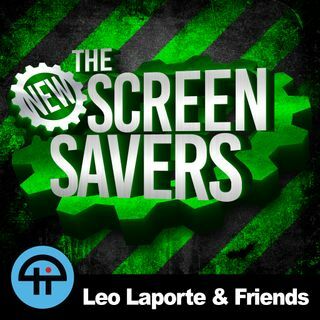 On The New Screen Savers for November 17, 2018, with Leo Laporte and Alex Lindsay:With the holidays just right around the corner, we'll feature gift ideas from our co-hosts. On today's show, Alex recommends the Hestan Cue smart cooking system, Leatherman Tread Bracelet, BaoFeng BF-888S Two Way Radio, Arduino Kits, and something every geek should have, a label maker.Leo and Alex discuss Elon Musk's plan to launch thousands of internet satellites into orbit, and they remember Bill ... Más informaciones Godbout and Stan Lee.Anki just released their new home robot the Vector. Powered by AI, this little guy can detect your face, talk, and play games with to you. Megan Morrone gives her review.Google is rolling out the new camera feature Night Sight for the Pixel 3 which lets you take sharp, bright photos in very low light situations. Jason Howell shows you how it works.We'll answer email questions on great ways to record audio in the field and which computers and programs are best for editing video.